Would you pay $290 for an eReader? Amazon bets that bookworms neck-deep in Amazon’s eBook market will buy the Kindle Oasis. But unless you’re rich, there are a lot of reasons why you might want to rethink that purchase. You could find yourself in a bone-dry Oasis. Judging from the exterior, the Oasis brings nothing new to the already saturated eReader market. It includes the now ubiquitous combination of a Carta-series E-Ink screen and a Freescale i.MX6 system-on-a-chip. The two parts give all modern eReaders approximately the same battery life and performance. Just because nearly all eReaders offer the same internal components doesn’t mean you shouldn’t buy one though. Both components make for an amazing device – but you can get a similarly amazing eReader for far less money. Amazon’s proposition to consumers: Are you willing to pay $290 for the smallest and most stylish eReader on today’s market? If your answer is “yes”, then the Amazon Kindle Oasis might satisfy. If not, then other eReaders might meet your needs; those living on a budget should consider a Kindle Paperwhite, a Nook Glowlight, a Kobo, or any number of other eReaders. Unlike many other eReaders on today’s market, the newest Kindle includes a backup battery, but this one’s built into the cover. Testing the battery life would take months, but using the device daily for two weeks hasn’t put much of a dent in its battery gauge. 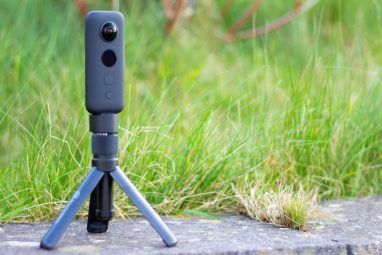 Amazon estimates that the Oasis can go “months” without needing a recharge — which appears to be the case, even with substantial amounts of reading. I must note two potential weaknesses. First, without the battery-cover, the Oasis’s battery life seems to be weeks, not months. Second, there have been multiple reports that some Kindles do not correctly draw energy from the external battery. Does the Oasis Have Solar Charging? Despite rumors, the Kindle Oasis does not offer solar charging. Today’s eReader hardware just can’t do it. If your needs include solar-charging, 2017 might bring the product you need. The reasons for this revolve around the age (by Internet standards) of today’s eReader technology: the processor and screen are almost four-years-old. Consequently, today’s eReaders are functionally identical to those produced in 2012 and 2013. Judging from recent innovation in the eReader industry, eReaders in 2017 The Best Ebook Reader: 7 Models Compared The Best Ebook Reader: 7 Models Compared An ebook reader is a must-have item for book lovers. You can carry thousands of books in your pocket and recharge once a month. But what's the best ebook reader out there? Read More may bring tremendous leaps in performance and battery life. Your best bet is to wait. For those who can’t, my advice would be to buy an older refurbished model – because you lose little and save a lot. For example, a refurbished Nook Glowlight sells for $71.95 on Amazon. And a regular Kindle sells for $56, refurbished (but with a 1-year warranty). The Oasis’s form factor is its biggest virtue. While possessing a six-inch screen, its dimensions are decidedly compatible with one-handed reading. Because of its smartphone-like screen rotation capabilities, the Oasis manages to dispense with an extra set of buttons. In short, the Oasis is the smallest, lightest eReader available in its class. On the other hand (pun intended), the emphasis and light weight might prove a double-edged blade. While elegantly designed, the Oasis does not look rugged. A single drop might turn your $290 investment into a mirage. Like other eReaders, configuring the Oasis doesn’t take much time or effort. Users only need to select their language, connect to a wireless network, and finally, register their Kindle with Amazon. The setup process takes about 5 minutes to complete. In addition to a short configuration process, users can choose to customize their device. Each of the buttons, for example, can remap to a new function. Overall, the Kindle Oasis offers an easy setup process combined with excellent customization options. However, most eReaders offer a similarly smooth experience. 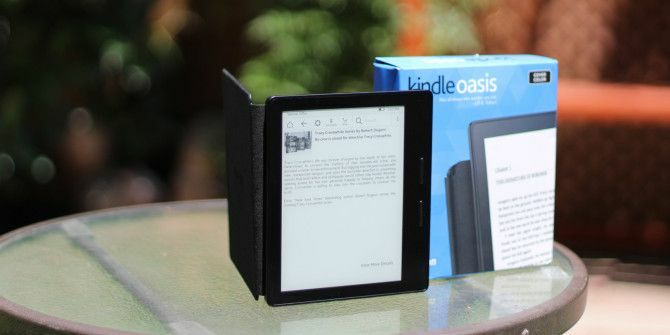 Like other iterations of the Kindle, the Oasis includes a standard eReader interface, with three zones that the user can interface with: menu, back, and forward. Unlike several other mainstream eReaders, the touch zones offer optimized locations and size. Users will not often touch the wrong section of the screen. The home screen layout, which I recommend changing, offers three books from your library, a navigation bar at the top of the page, and some recommended (i.e. more advertisements) books from the Amazon Store at the bottom. About two-thirds of the home screen page consists of a direct or indirect means for encouraging eBook sales. The $360 version of the Oasis cuts down the solicitations to around half the screen real estate. In the screenshot below, the highlighted portions of the display contain elements useful to the reader. The remaining portions represent methods of squeezing money out of consumers. As mentioned earlier, the Oasis includes an accelerometer which can detect when the device twists 180 degrees. Screen rotation automatically reorients its user-interface for both left and right-handed reading modes. It feels natural to switch the device between hands, particularly when turning pages with its physical buttons. My favorite design feature: the physical buttons switch when the device rotates. To illustrate, the top button always functions as the page forward button, regardless of how it’s held. The design affords a higher degree of comfort than its competitors. Unfortunately, the Oasis doesn’t offer landscape mode, which would have made reading wider PDFs much easier. Sideloading (sideloading on Android How to Sideload Any File onto Your Android Phone or Tablet How to Sideload Any File onto Your Android Phone or Tablet You may have come across the term "sideloading" before, but what does it mean? And how can you go about sideloading apps or files? Read More ) or copying eBooks from your computer onto the Kindle Oasis isn’t very difficult. 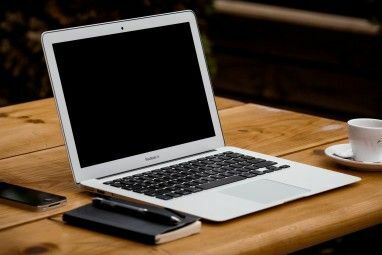 Users can use one of two options: Copying files via a microUSB connection or by emailing the document to their Send to Kindle Email Address. Registering an Oasis with Amazon creates a Kindle email account. Users can find complete instructions on this system at Amazon, but compared to sideloading content, it’s an uncomfortable and unwieldy tool. Considering that Calibre (guide to Calibre A User's Guide To Calibre eBook Manager A User's Guide To Calibre eBook Manager Easily manage, convert and transfer your books using Calibre, the swiss army knife of eBook software, and a variety of related programs. Read More ) converts from ePUB (which is incompatible with the Kindle series) into a readable format, most users probably won’t ever touch this feature on the Kindle – unless you don’t own a computer but for some reason own a smartphone or tablet. The biggest problem with sideloading books: Amazon doesn’t make it easy to locate your copied content. Of the 12 PDFs that I transferred to the Oasis over USB, only seven showed up. Compared to my Nook Simple Touch (how to root the Nook Simple Touch Hack Your Nook Simple Touch Into a Super E-Reader in Three Easy Steps Hack Your Nook Simple Touch Into a Super E-Reader in Three Easy Steps A hack can turn a rooted Nook into a full-fledged, game-playing tablet. Read More ,) the Oasis can read very few of my e-books. Unfortunately, like on all six-inch devices, many scanned documents (such as those found in PDFs) don’t always look great on the Oasis. Some eReaders can digitally “reflow” scanned pages from books using a method called Optical Character Recognition (explanation of OCR What's The Best Free OCR or ICR Program For Manuscript Transcription? What's The Best Free OCR or ICR Program For Manuscript Transcription? I'm looking for a free Optical Character Recognition (OCR) or Intelligent Character Recognition (ICR) program to scan my old manuscripts from images or photographs so I can convert them into Microsoft Word files. Read More ). OCR methods vary between manufacturers. Some intelligently convert smudged or faded letters into digital characters, such as Optical Word Recognition. OWR looks at a smudged letter within the context of its surrounding letters and makes a guess as to what word it might be a part of. Google Books, for Android, can search through books using OCR. The Oasis doesn’t seem to offer any kind of OCR. If you own a lot of older PDFs that are scans of pages, you might want to look elsewhere for an eReader. The Final Analysis: Should You Buy an Amazon Kindle Oasis? Maybe, if you’re Scrooge McDuck rich. Otherwise, no way. It’s without question an amazing eReader – but at its current price point, the Kindle Oasis needs to offer more than a small form factor, elegant design, and ambidextrous handling capabilities. For almost $300 an eReader needs to beat down its competitors. The Oasis offers only a marginally better experience. ATTENTION GIVEAWAY PARTICIPANTS: We are experiencing difficulties with the video. The giveaway code is “wonderwall” without the quotation marks. Explore more about: Amazon Kindle, Ebooks, eReader, MakeUseOf Giveaway. just an fyi incase someone hasn't pointed it out already - but your link to the Nook Glowlight goes to an 'amazon paint set'. I am Thushanka Thimira, an undergraduate student from Sri Lanka. First of all I have to admid that I'm aware of the fact, that, it is way off the timeline to request one of those Amazon oasis devices right now ffrom you. Nonetheless, I hope, once you read this you'd understand the rasons for the late repply. The first reason is high prce value entailed to thse devices. Being a student who has been occupied in a fultime academic course (quantity surveying --- 3 years), I don't have a enough income to afford at least one of the beginers kindle. Secondly, I'm not in a position to bother my parents, asking for money to purchase a 50 000rs plus device, since they are already in debt for fulfilling my academic necessitites. Thus, if you could give me one of your oasis devices (even a paper white device would be suffice form me), I would be oblige to you for my lifetime and it would really be resourceful in my further academic studies and improvement of English linguistic skills. I am Thimira Thushanka, and an under graduate student from Sri Lanka. I know it's way off the timeline to do a request. But I wonder whether you could give me one of those amazon Oasis e - readers, which I would be more than delightful to have but unable to afford (as the unit price is beyond 50 000LKR). If you could do that, it would be really resourceful for my studies as well as my continuous attempt of improving the English language and I would be obliged to you for my lifetime. I followed on LinkedIn, but the button is not loading & the 'continue' button doesn't do anything. Hello, was wondering for the bonus word I used to watch a video here right on your blog but now no code here and it says you tube and Facebook, on the last few entries I looked everywhere and could not find them, can you provide a link in the tab?? Would help to know where to watch. I have three Kindles, and the only one I like is the old keyboard one. Ease of use. It matters. I've used a friend's Paperwhite, and all I can say is ,"Really, swiping? Who thought this was a good idea?" The Oasis sounds even less user-friendly. I know they're in business to make money, but I'd keep buying the keyboard Kindle when the old one died, if they'd just keep making it. That's interesting. A lot of tablets are including keyboard/covers. In fact, I have a keyboard for an e-ink 8.3-inch device. It's really nice. It works great as a mini laptop. I have a Fire, and I had a Nexus which I loved, only it died after an update last year. For reading, a nice keyboard Kindle is ideal. Easy to use, not heavy to hold, can go anywhere with me. I use my phone for everything else when I'm on the go. I have an unlocked Motorola G second gen. Best phone I've had so far. Thanks for sharing! In case you still have that Nexus tablet, there's almost always a way to repair those devices, provided it's not that hardware that has become damaged. Thanks. I'll check that out. Won't let me reply as before. I'll stick with the $25 KOBO mini I bought at a yard sale. I sideload all content in ePub format; it's easy. No backlight, but it's surprisingly easy to read in low light. And font, size and leading are adjustable. Bought a leatherett cover for $8 on eBay and added a magnet to trigger the sleep function when the cover is closed. Battery life is great! That was an excellent deal. I'd definitely take a Kobo over the Oasis at that price. How to use "Facebook bonus entry" ? The last time I checked, they were. There was an error where the code wasn't included in the video. The code is "wonderwall". what about the second question..? can Indian users win..? HOPE I WIN, WOULD LOVE IT TRY IT!!! This is so far the neat looking Kindle of all. Lightest of all and battery life lasts months with single charge. Meh. I'll try it if I win it, but I have no use for an expensive, B&W single-use device that keeps me trapped in Amazon's ecosystem. I've got an Android tablet and a phone that are much more versatile. BTW, B&N stopped making Nook devices a couple of years ago; they're now partnered with Samsung to produce "Nook" devices and/or apps. Exactly. If it did something else other than read books, it'd probably be a good deal. After all, high end tablets can run $400. A palm-held tablet would definitely be worth the money. Amazon is working on a new color e-paper technology known as Liquavista (or electrowetting). It's basically a reflective, color paper-like technology that can do full video while requiring very little energy. If Amazon had a Kindle Fire line like that, it would easily be worth that kind of money. No video entry code was given. I am glad the review had the full written portion since the video didn't give much review information. I guess there's not much to be said for an e-reader since they don't do much. What kind of e-reader won't support e-pub though? Video error. The code is "wonderwall" no quotation marks. Sorry for the mistake. I am retarded, I found the entry part. It's not in the video its near that though. My paperwhite just stopped taking a charge one day and this was of course, a couple months after the warranty was gone, so the tech support from Amazon was less than three steps and telling me the only option for me is get a new one. For now, I use my old galaxy s3. It actually is much lighter and very handy. I don't understand how they can charge that much for this version and still show more ads than before. The whole reason the ads were fine was they weren't intrusive and sometimes would be a good item I later bought. The "reading lists" and "recommended books" feature is really just a way to encourage users to buy more books. It's pretty awful that around 2/3rds of the screen real estate is an attempt to sell readers something. I watched the video and seemed to be missing the code. Correct. There is no code in the video. Hi I cant find where I go to enter and win - Says Sign in Below But Where Am i Doing that now? If you have an ad-blocker, it may interfere with the entry widget. Oh and the code is "wonderwall" without quotation marks. It didn't show up in the video.